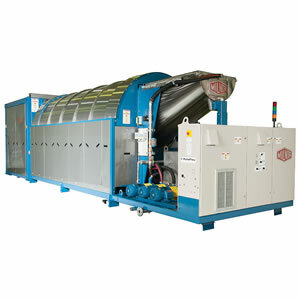 HJ WEIR Engineering Co Ltd is one of the world’s largest manufacturers of flatwork finishing equipment. Also known as the “originators of flatwork handling technology” HJ Weir have been providing separating, feeding, ironing, folding and stacking solutions globally for over 55 years. And new to its range in 2016 is an exclusive range of flatwork ironers. 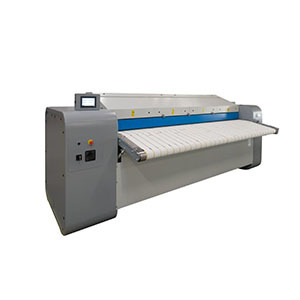 Popular machines such as the Autoprep, Vacfeed and Foldmaker range are ideal products when processing Sheets, Duvet Covers, Pillow Cases, Table Linen, Napkins, Towels and Blankets. Our many years of experience coupled with innovative design and one of the most advanced yet simple control system makes us an unrivaled leader for the industrial and commercial laundry sector. HJ Weir are thrilled to have been a finalist for Excellence in Manufacturing and Excellence in Export and International Trade at the prestigious Monmouthshire Business Awards.